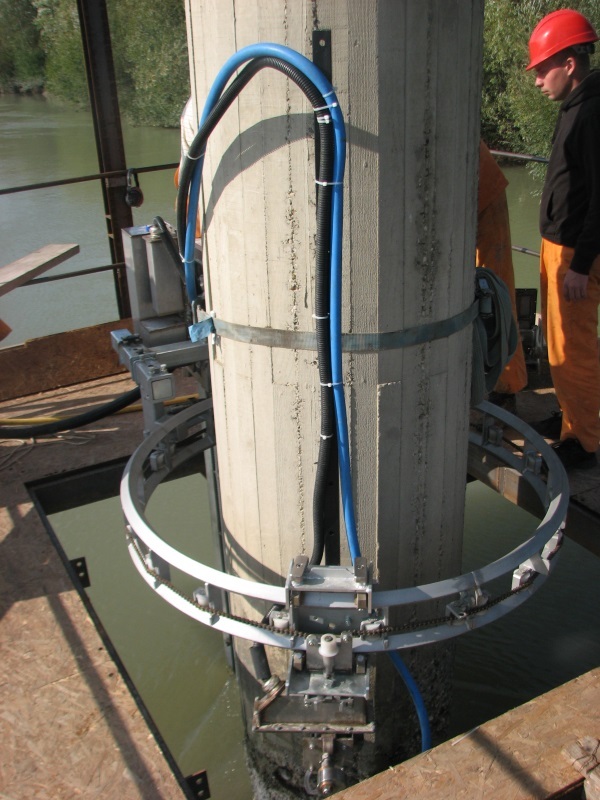 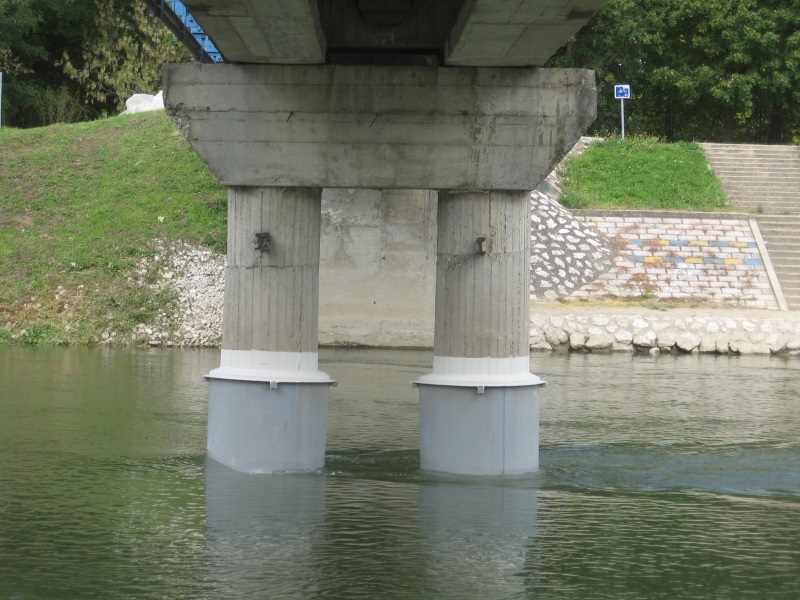 Impossible becomes possible with a new special tool for underwater treatment of pillars and surfaces. 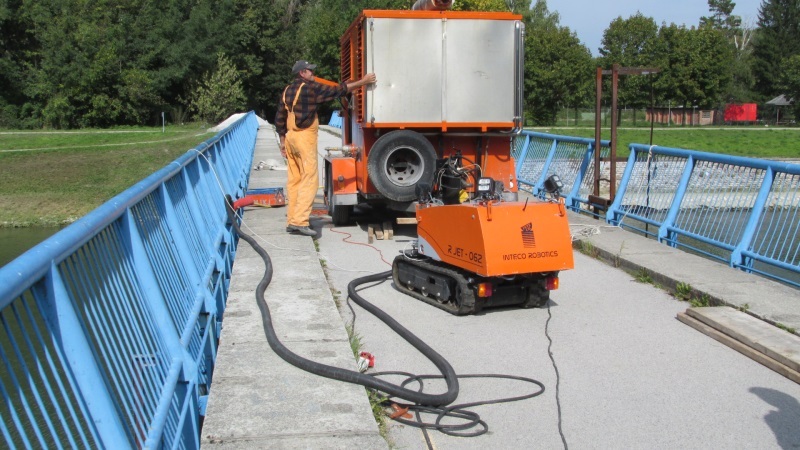 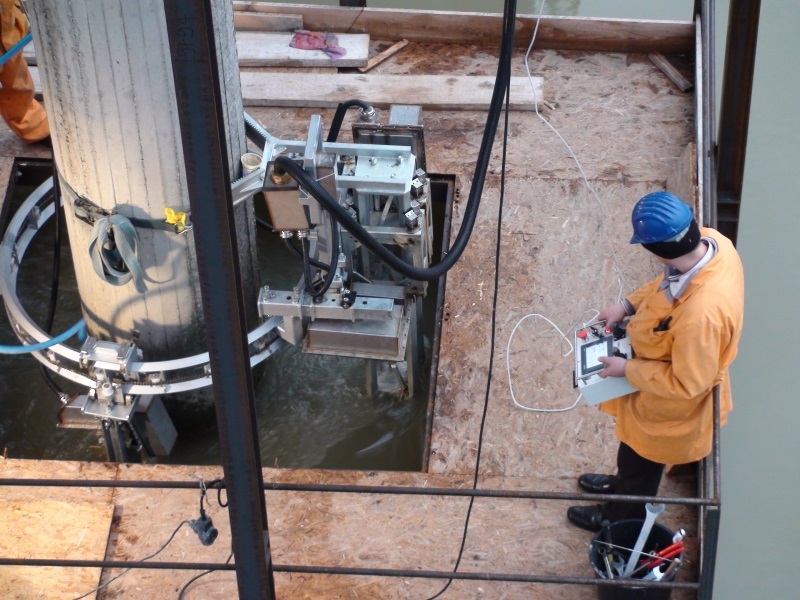 Using UHP water and the R JET – 062 Robot this special tool can cut concrete slabs and scrape surface to remove damaged concrete. 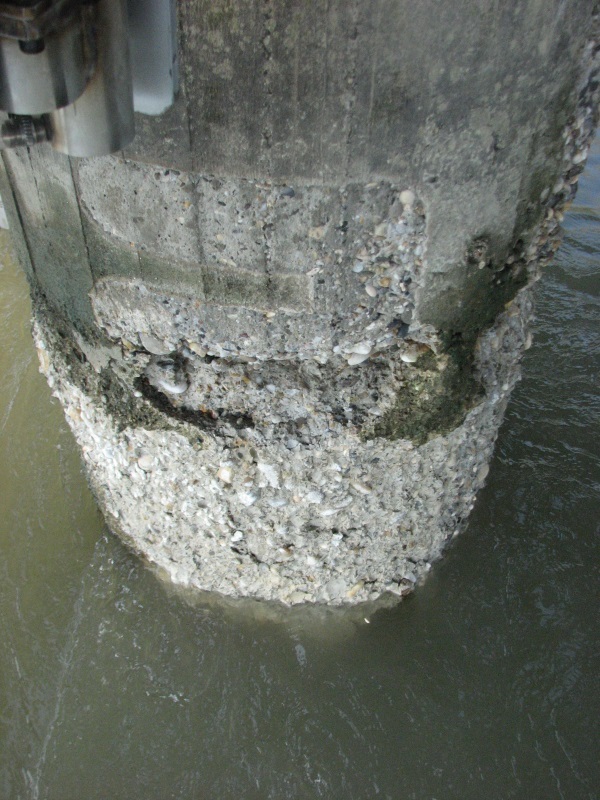 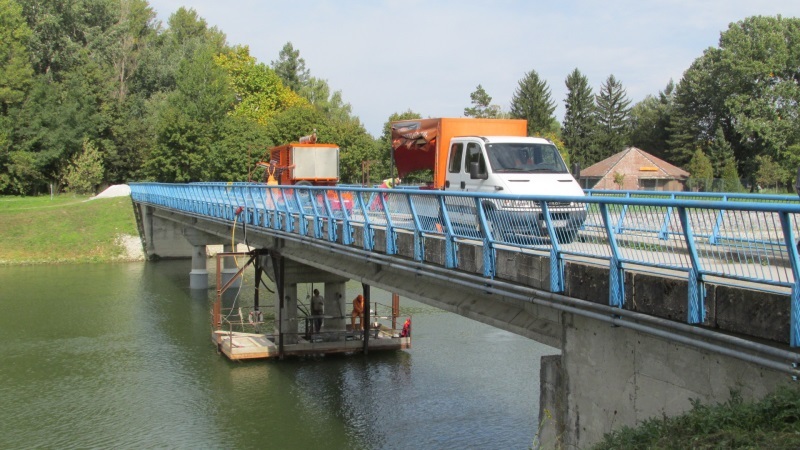 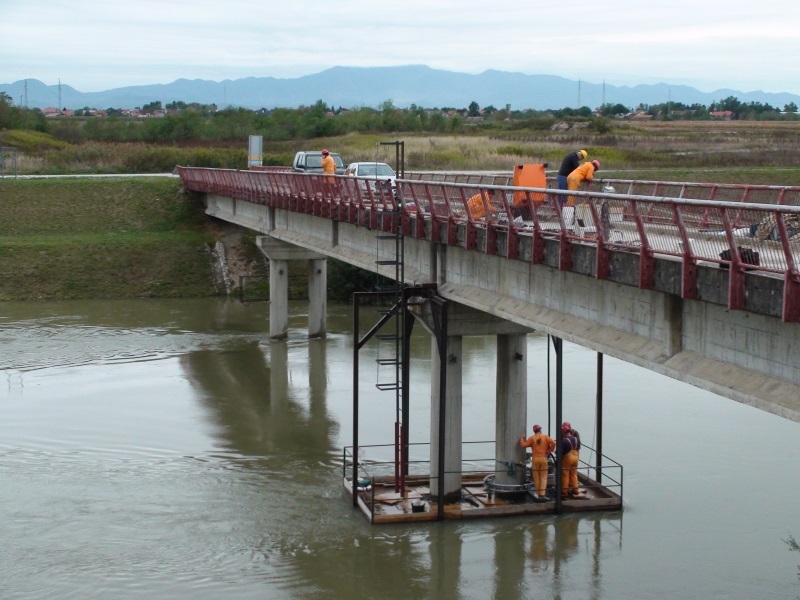 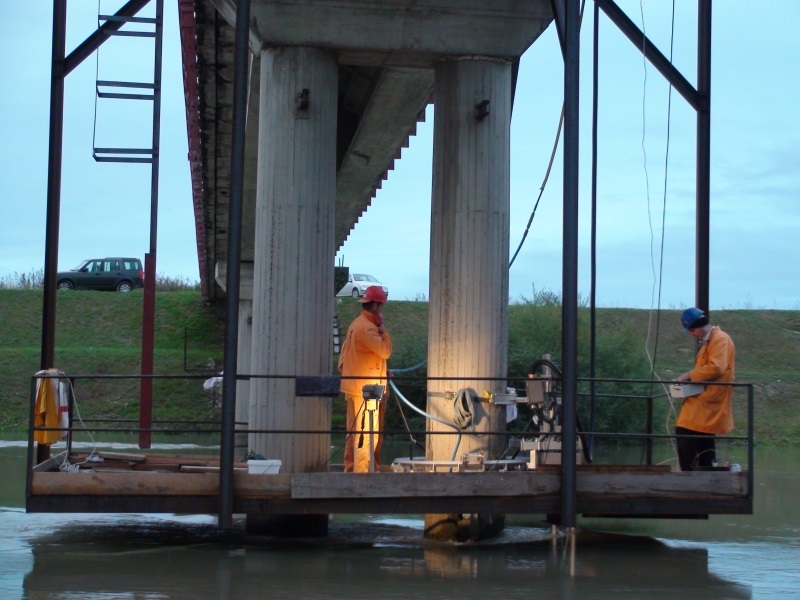 Peculiarity of this job was the request from investor that treatment of the pillars beneath a bridge should not disturb the operation of the hydroelectric power plant which is getting water from the river passing beneath the bridge. 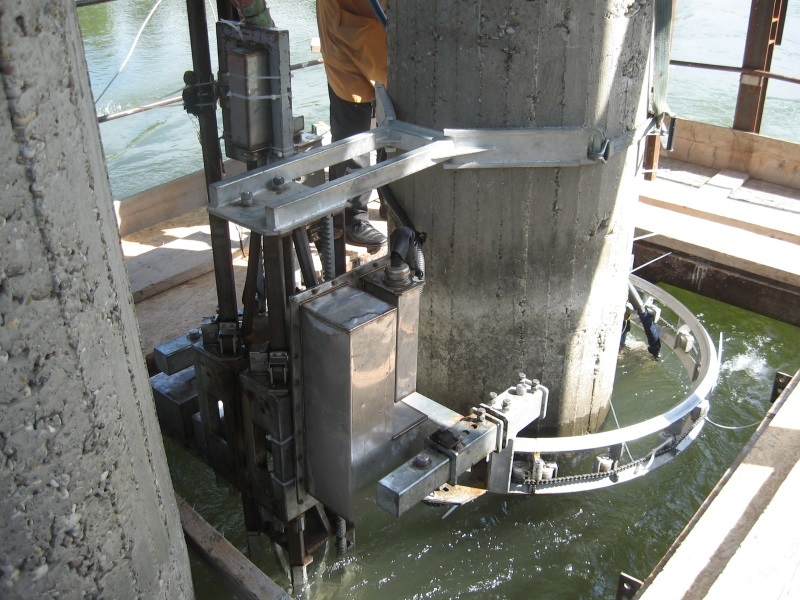 Sense for solving problems and creating innovative and proprietary technology again came to play proving again the engineerial strength in the team behind the R JET Technology.